Sometimes we all do weird things that make us unique and fun. Some of these unusual habits relate to our hobbies. Reading Quirks is a webcomic series, created by the team from the Dallas-based bookstore The Wild Detectives and drawn by Laura Pacheco, a talented cartoonist from Spain. 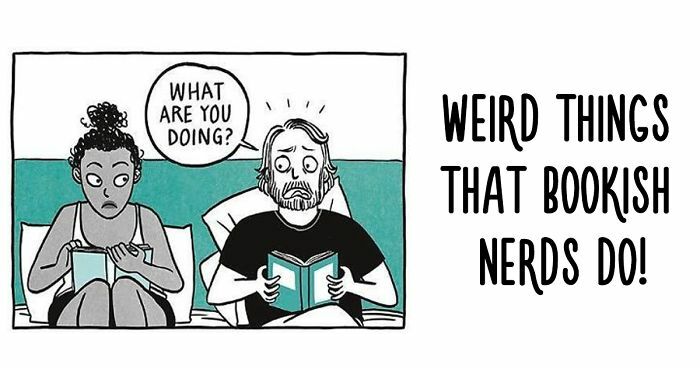 The comic series is all about those weird things that readers do, and about hilarious situations booklovers might get themselves into because of their admiration for literature. Take a look at these amazing, fun comics and let us know if you find something that you can relate to. I have an eReader, which can be lit up so as to read in the dark. Even the intensity of the light is adjustable. That solves a host of problems. The quickest way to escape from life is the first book that comes your way. Reading helps make solitude more enjoyable. 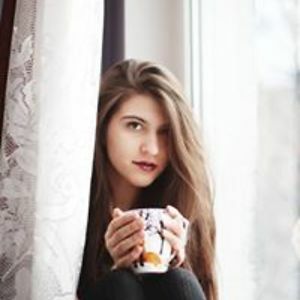 You may be alone, but at the same time not alone. There are a few books that have always stuck with me. Once I grew up, I went back and reread them in order to enjoy them again. But I discovered one thing. The way I remembered them growing up was not quite the same as rereading them as an adult. Not a 'positive' or 'negative', but different. If you are going to return to your favorite books, be prepared for this. Cool, fellow bookworm, I'm gonna check it out. I'll wait for the day I meet a man like him! The movies almost never delivers. They usually leave parts out or twist things that's essential to understanding the characters or to how the ending will unfold. The nice thing with the pencil is that you have the option to erase. With the ink pen.................? It's fine to lay them down like that for a moment. What really drives me crazy is when someone curls the page over so that they're only looking at one page at a time! This is adorable! Those squirrels are too cute! This is a teachable moment that can change a child's life. All reading adults should be prepared for this question and how to encourage a journey of a lifetime. I always make sure my purse is big enough to fit a hardcover book comfortably. From George Orwell "1984". Everyone should have read it. Sadly, it becomes more and more important in these times. Sometimes I write down names I see over the shoulder and Google them to find out the title :). This is where ebooks are an advantage. I like physical books too, but I like more being able to have and carry more titles. Erm - every spot is my reading spot. Unfortunately, the ones in the public libraries I vised after growing up never seemed at all happy to be there. I don't understand the need to buy all those copies, though. If you have the ebook, you can read it in bed or at lunch. If you have the audiobook, you can also listen to it in bed or at lunch. Why also buy another? If you save on it, you can buy more books. Like the toilet- 'whichever' is a great way to think! I feel a huge sense of accomplishment when I find and correct a typo that got published in a book I'm reading. Me...I'm a 400+ length myself. If my wife had liked the same books that I do (which she totally doesn't), I would buy two copies too. Why would you buy without reading the blurbs? You know nothing about the book that way. How can you tell if it's the kind of book you'll like? There's a huge chance of wasting money on something you won't like when you could have bought something else. ...But you also need to respect it and take care of it. lol I feel like this will happen at my wedding!!! hahaha yeah I love how they call it homework - the book is the TRUE story, the movie is just an idea in comparison. You gotta do your real homework first! What!!!! Never use the book for this in the first place! Dog earing as a whole gets on my case. If you do that, then the corner is easier to rip! Just use a bookmark! Didn't she shake it? Heft it? Consider if it's balanced? Now on my "to read" list! Good job, the Wild Detectives and Laura Pacheco! i dont like that other guy! I do that in my dreams at night & then you wake up- phooey. Yes. A good book is like a friend, and you won't say goodbye. Yep. I call it the 'book blues'. I've burned the dinner more than a few times while sitting near the stove so that I wouldn't burn the dinner, while reading a book.